← Have Your Voice Heard! This entry was posted in Autism, autistic, Autistic communication and tagged AAC, alternate communication devices, autistic students, communication, Education, learning, non-speaking, research, RPM, school, spoken language. Bookmark the permalink. An amazing amount of research, and very thought provoking. I’ll have to come back and read the paper in it’s entirety, but from what I’ve read so far…awesome work Emma. Cogent and powerful! Brava, Emma! May your thoughts, words, and actions go into the world and work wonders! 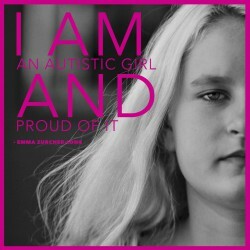 Thank you Emma for working so hard to educate people about methods of communication. I will share it far and wide. Dont quit writing. Make people learn! More and more, I am BEginning to better understand … communication diversity ! it is wonderful to experience and feel the voices of everyone in this survey and research. I wondered if there were people from India; Sri Lanka; Pakistan? And “the Far East” – does that mean China and Japan and the Koreas? And what has happened since Unspoken the documentary was released? A lot of good learning and teaching here. Congratulations Emma! 🙂 That’s quite a spectacular essay and topic. Well done! This is so helpful Emma. I have seen nothing like this to date and this information needs to be shared. Great research. Thank you for doing this, for sharing this, and for the tremendous difference you are making in the world. Had I began to work with my nonspeaking cousin, JJ, earlier on, I would have participated in the survey whwn you published it last year on his behalf. Just a few months ago—October—I introduced him to a somewhat-outdated AAC app for iPad, the Lite version of Sono Flex. HE LOVED IT. He FLOURISHED with it. Yeah, he needed, and still does need, some physical support and prompting in order to communicate with it, but it was the first time in his life he clearly communicated his feelings, wants, and desires in such a way that others understood. He is unfortunately trapped in a segregated special education school that operates off ABA. His SLP switched him to another app—GoTalk Now—And has as thus far programmed only nouns. In essence, nothing conversational. Thankfully, Sono Flex is still on it. I’m fighting for the presumption of his competence at home and at school, even though I’m not his caretaker. Thank you, Emma, for all that you do. You’ve given me such a tremendous resource for those who insist that nonspeaking Autistic people are not fit to learn, and that ABA and traditional approaches to speech therapy are the only way to communication. I don’t know if my last email was completed in a way, in which it could be sent, or received by you. I am not very computer saavy, to say the least. I respect what you have done here, and it is beautiful. I am not sure if you are her, however, I am just wondering. right now to visit with people, friends, (or family,) now. that is, if she would ever want to meet, if she be the same Emma, I used to see, when she was a little girl, (maybe btwn. 8-12. She used to some times visit Sausalito, w/her elder, D., and sometimes, liked to watch ice skating w/music. They used to live in San Francisco, not far from the Marina. Right now, I am too busy to connect. to see if you are the same Emma. If so, this Emma was a truly special girl, whose company I really enjoyed. Right now is probably not a good time. Don’t worry. I am not a wierdo or a creep. I am just some day, hoping to see the Emma I used to visit, “every once in a blue moon,” again some day, if it is an okay time of life. I just saw this post today/yesterday when I introduced a friend to this blog. I applaud you for working so hard on your research paper and I applaud your teacher and parents for presuming competence in you. I realize that speaking people (including fully verbal autistics like me) experience a “verbal privilege” in our lives because our speech exists and is reliable. It’s a splendid article, informative, well-researched, meaningful – all the things that nine out of ten published papers in this area aren’t. Much-needed data (even bearing in mind your caveats). Speaking as a nonacademic who’s had a fair bit published over the years, if I was you I’d submit it to a refereed journal – Research and Practice for Persons with Severe Disabilities, say. There’s a lot of prejudice out there, sure, and you might get caught up in the fallout, but it couldn’t hurt; the worst they can do is send it back with a doesn’t-meet-our-needs note. Whether or no, congratulations and thanks – and keep it up.